Thirty local chefs will be crafting creative, savory and sensational recipes in the hopes of taking home the “best burger” trophy. 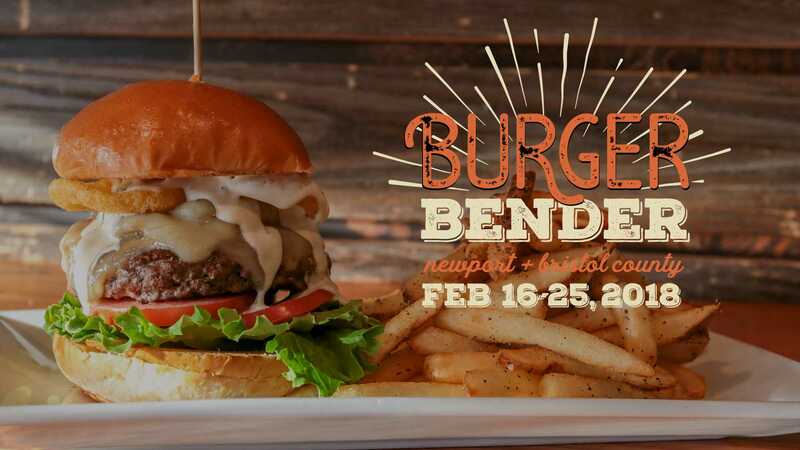 The Newport Burger Bender returns for its second edition this February 16 to 25, 2018, once again coinciding with the Newport Winter Festival. 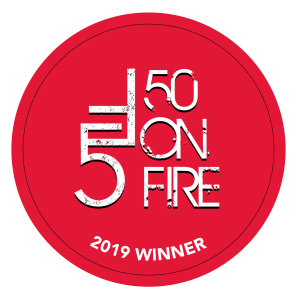 This simple burger contest, which recognizes the bevy of culinary creativity throughout our destination, challenges local restaurants to compete for the lauded “Newport Burger Bender Best Burger” title, burger bragging rights and the coveted Burger Bender trophy. To vote, diners can go to the Newport Burger Bender website to see the entries, plan their burger tasting adventure accordingly and then vote for their favorite burger. The burger with the most votes at the end of the contest will be crowned the winner. A “Critic’s Choice” will be named by Providence Journal Food Editor Gail Ciampa and a “Creative Champion” will be named by Jamie Coelho, Associate Editor at Rhode Island Monthly and author of The Dish, the magazine’s popular monthly newsletter. Mouth-watering entries include a dry-aged beef burger topped with butter poached lobster, roasted tomato and parmesan cheese from Forty 1 North, the “Confit Pork Belly Burger” from Bristol Oyster Bar featuring a 50% prime ground beef and 50% confit pork belly patty served with house cured bacon, Four Town Farm lettuce and pickled mustard slaw on a griddled sesame bun, and the “Fork & Knife Burger” from Speakeasy, a 10-oz. double burger with chourico, lettuce, tomato, jalapeno and sour cream – all sandwiched between a “bun” of bacon and cheddar loaded potato skins. The 2017 defending champion, Jo’s American Bistro, is looking to keep the crown with a barbecue spice-infused natural ground beef burger topped with roasted jalapeno peppers, barbecue glazed house pork belly and melted cheddar cheese topped with frizzled onion straws and drizzled with Carolina-style “Que” sauce served on a griddle-toasted Kaiser bulkie roll. 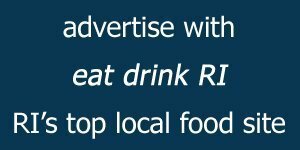 Diners can tag their burger photos on social media with the hashtag #NPTrightnow. Tagged photos will be automatically entered to win giveaways from Discover Newport. The public can vote throughout the entirety of the contest. Condesa recently opened its doors on 721 Quaker Lane in East Greenwich, Rhode Island 02893! A staple of RI, they opened their first location in Smithfield. 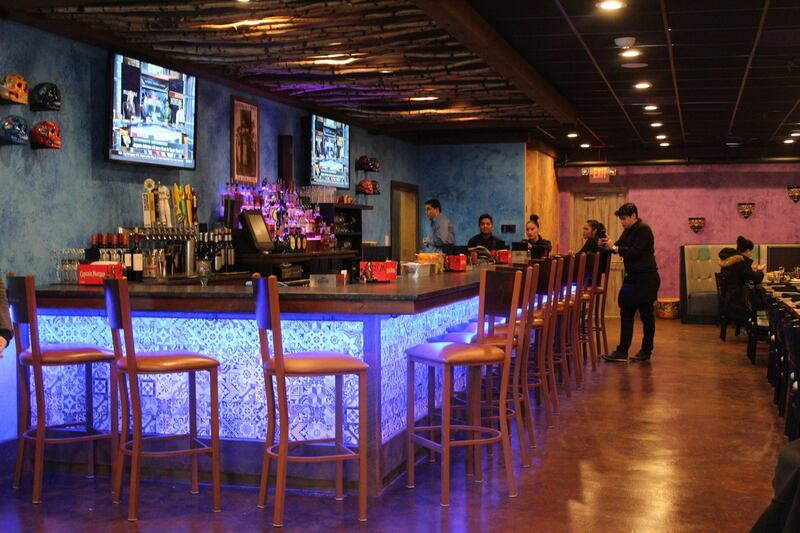 This establishment is family owned and operated, with a Mexican scratch kitchen. Along with the delicious food is a full bar, accompanied by hand-shaken margaritas and more of your favorites. Unlike many restaurants, Condesa, both in Smithfield, and now Warwick is also known for its Vegetarian, Gluten Free and Vegan selections on their menu. As Condesa owners Roberto and Ernesto remark, “Scratch kitchen. Hand-crafted drinks. Vegetarian and GF option to cater to all our wonderful team.” Prices range from $5 appetizers to $19 entrées. Make sure to stop by soon to check-out their brand-new location, and bring along your family and friends to try their unique foods and drinks that are catered to everyone’s needs. Condesa Warwick is open Monday through Thursday, from 11 a.m. to 10 p.m., Friday and Saturday, from 11 a.m. to 11 p.m., and Sundays, from 11 a.m. to 9 p.m.
For more information, call (401) 828-1005 or visit ​www.condesarestaurant.com​. 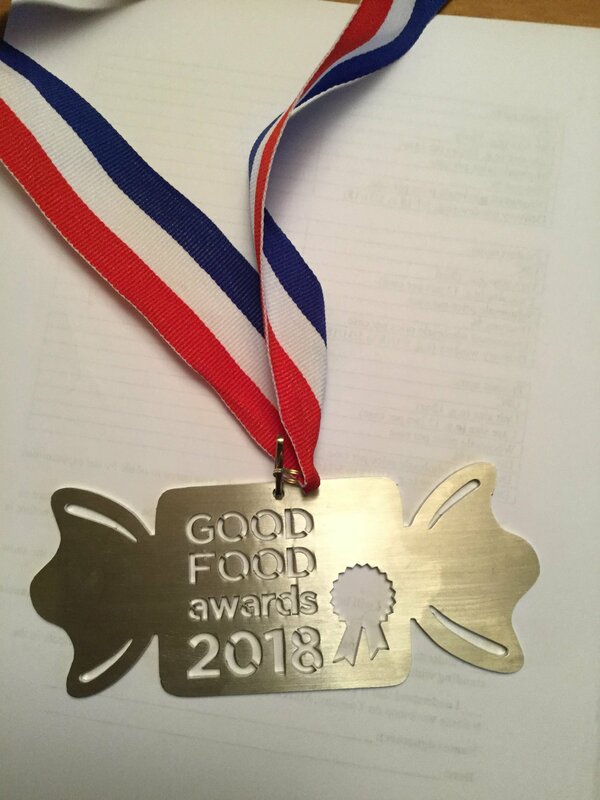 Two Hope & Main member companies, SanoBe Superfoods and Halvah Heaven, came home victorious earlier this week from the 2018 Good Food Awards in San Francisco, CA. The annual national competition recognized 199 food companies out of more than 2,000 entrants this year. The awards were presented in style by culinary pioneer Alice Waters and actress Madhur Jaffrey, in categories that included sustainably sourced and crafted charcuterie, cider, beer, cheese, chocolate, coffee, confections, preserved fish, honey, oils, pantry items, pickles, preserves, spirits and elixirs. Getting a nomination for this competition is rigorous, and starts in August with blind taste-testing among 25 judges from around the country. The judges are charged with meeting strict standards on ingredients, sourcing and certifications. Once nominated, entries are judged by over 250 food crafters, chefs, farmers, journalists, retailers and thought leaders. One of those leaders is Sue AnderBois, the Governor’s Director of Food Strategy who confirms that the national contest was “incredibly competitive.” Working with the Good Food Foundation, she has organized an opportunity for a number of Rhode Island food brands, including many Hope & Main member companies, to host a table at the Good Food Mercantile in New York City later this year to shine a spotlight on the rapid expansion of the new entrants into the marketplace that are coming out of our State. SanoBe Superfoods founder Jennifer Beauregard developed her peanut butter product line to be super nutritious and delicious complete meals — in a jar. Each variety is produced with whole body health and wellness in mind. SanoBe, which translates to “Be Healthy” contains high concentrations of more than 30 trace minerals. Beauregard’s winning peanut butter is her Crunchy Cacao flavor. Halvah Heaven founder Victoria Wallins decided to make her delicious tahini-based candy because she saw an opportunity in the world of small, creative purveyors. Halvah is mass-manufactured across the globe with mostly artificial flavors and preservatives, but Wallins takes a traditional approach, making each batch meticulously by hand, using all natural, gluten-free, vegan ingredients and organic sweeteners. Wallins’ winning halvah is her Silk Road flavor. The wins kept coming for both Beauregard and Wallins all weekend long. Each participated in a wholesale show and mercantile event related to the awards, which resulted in new customers and connections with premier buyers from across the country. Nominations aren’t promised to any of this years winners for 2019, so both women are already preparing to defend their titles. As the State’s premier food incubator, Hope & Main provides an environment for entrepreneurs like Beauregard and Wallins to test and develop, adjust and pivot, scale up and reach new markets. 15 Rhode Island based food businesses are set to begin the Social Enterprise Greenhouse (SEG) Food Accelerator program on February 15, 2018. The Accelerator, SEG’s signature social enterprise development program, includes a 12-week blended learning model developed and delivered in collaboration with Brown University. Throughout the three months, each of the food businesses will work to refine, formalize and grow their social mission with the support of SEG’s community of coaches and advisors. Additional value is provided by industry-customized curriculum and advising, a peer-learning cohort model and access to SEG’s co-working space at 10 Davol Square, Providence. Beggar’s Tomb Marine Livestock is a floating barge oyster producer. They will support other growers by providing services related to sorting, labor, logistics, seed, breeding and algae. Coffee Collective is a workers’ co-op that will create a café and community space serving the Woonasquatucket neighborhood. Foodies Without Borders is a non profit focusing on empowering young entrepreneurs in developing countries through culinary arts and sustainable farming..
Fortnight Wine Bar is a casual and experimental wine bar in downtown Providence focused on naturally and biodynamically produced wines, small-batch beers, seasonally-inspired food made from local ingredients. As a workers’ cooperative, they model a new way of organizing business and hope to support other cooperatives that share similar values. Grow Earthly collects and processes food waste into high market-value compost by feeding it to a certain species of worms. This form of compost has no foul odor, is all-natural, eco-friendly and can help grow a wide variety of crops. Herb & Forage is a new farm business which is starting the first commercial orchards of beach plum and elderberry in the state of Rhode Island. These native plants will be processed into high quality food products that celebrate locally grown flavors while supporting responsible land stewardship. Hocus Pocus Farm grows produce and flowers for a CSA while providing education, ecological stewardship, health and community-building. Hope’s Harvest will mobilize volunteers to feed the hungry and prevent food waste by rescuing surplus fruits and vegetables from local farmers’ fields. Jeow is a spicy Laotian pepper dip and topping. Through their products and cooking classes for the community, they aim to make Laotian cuisine, and its culture, a familiar standard in America’s food scene. One World Cacao is a wellness and education platform selling single origin eco forested cacao from Guatemala. OURgrain produces tasty and nutritious snacks from Brewers’ Spent Grain (BSG) which is typically sent to landfill or fed to livestock. The goal of OURgrain is to provide education on sustainability, and make savory and sweet treats that positively impact the environment. PVD Dinner Share creates food that fulfills. 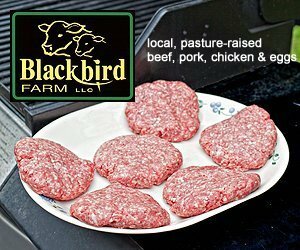 Their convenient farm-to-table meal preparation service allows members to spend more time on the things they love, and less on preparing food throughout the week. Their commitment to the community extends beyond the kitchen with monthly projects benefiting local causes. Rustic Roots Baking strives to create locally sourced, delicious desserts made in the tradition of their grandparents. They use quality local ingredients to create real, rustic baked goods. Sanctuary Herbs of Providence brings to you an extraordinary line of herbs whose essence enhances health, comfort and peace. They source their teas and herbs in partnership with Rhode Island’s refugee and immigrant farmers, with the goal of expanding small, local farm viability. Three Mouths Tea is a Providence-based company that sources and shares exceptional teas from small family farms in China, Taiwan, Japan, Korea, India and Nepal. Their mission is to cultivate knowledge, culture and community around tea here in Rhode Island while contributing to the preservation of traditional, ancestral tea production methods and the autonomy of the communities from which they emerge. The purpose of the SEG Food Accelerator is to help create more successful, sustainable ‘do well do good’ food businesses in Rhode Island, leading to a more just and resilient local food system. The 2018 Food Accelerator is funded in part by the Henry P. Kendall Foundation and RI Department of Labor and Training’s Real Jobs RI initiative, and is also made possible by SEG’s network of 200+ volunteer coaches and advisors, many of whom are business and community leaders in Rhode Island. Upon graduation, participants will receive priority access to the SEG loan fund that provides competitive interest rate loans to high potential social enterprises. The 2018 Food Accelerator culminates with a Demo Day on May 15th, 2018.